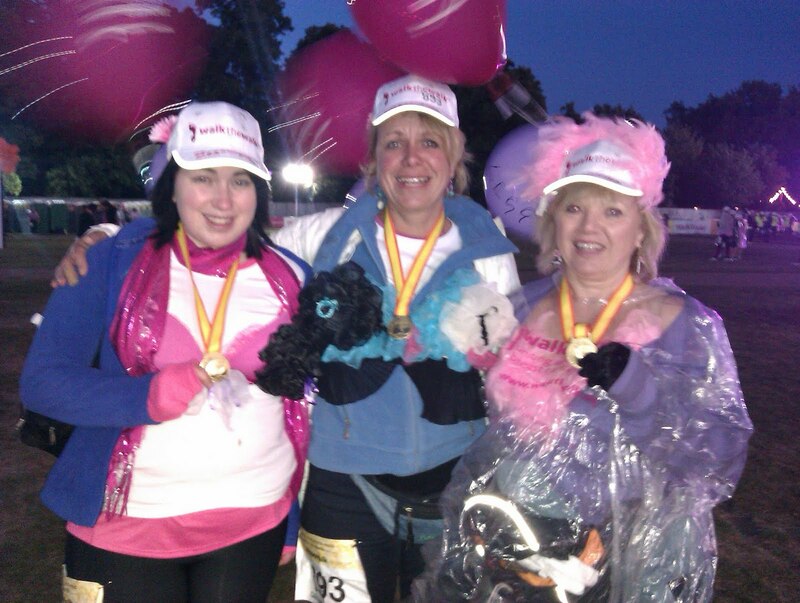 One of our massage therapists has been busy of late, using legs instead of hands - to get over the finishing line of the MoonWalk London. 13 miles through the streets of London, during the night of 14th May to the early hours of May 15th, raising money and awareness for breast cancer. Caroline seen here with Katie Adderley and Vanessa Legg, after setting a leisurely pace, sightseeing on the way and indulging in the occasional nutritional midnight snack. Caroline (centre of picture) is looking forward now to next initiative of encouraging women golfers, from golf clubs of the surrounding areas, to look after their bodies, as much as their golf equipment, during the busiest and most demanding part of the golfing calendar - the summer. And obviously not forgetting the men, with gift vouchers available for treatments, especially with Father's Day and all those summer birthdays on the horizon. Contact Caroline at Fine Fettle on 01373 458984 for information or to book a treatment.